Funny, sad, gritty and grand: A Reading Journal: Tribute to Nalini Singh's "Branded by Fire"
Painted while listening to bits of "Mage Emperor" and "Realm of the Gods" by Tamora Pierce, as well as "The Convenient Marriage" by Georgette heyer. 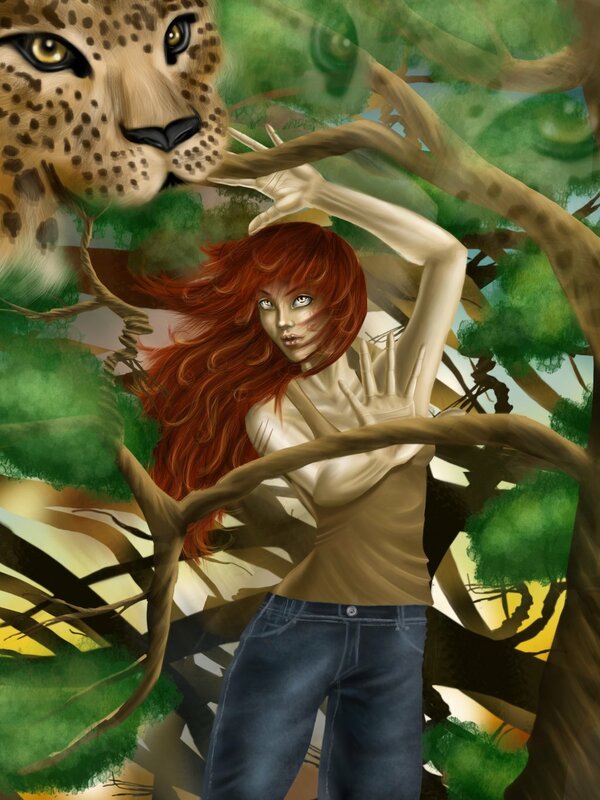 But I had recently finished listening to the entire Lioness Quartet, so I was likely inspired by that red-headed heroine - Alanna of Pirate's Swoop and Olau (formerly of Trebond). But I wanted to have fun with painting long hair, so I ended up drawing a different red-headed cat ; ) I was five-years old when "The Little Mermaid" came out, and the first set of novels I ever read were the "Anne of Green Gables" novels, which I blame for the fact that I unconsciously feel like heroines ought to have red hair.